Book now to enjoy the best possible rates for this festive season. It’s time to eat well, drink well and sleep well at Bay. 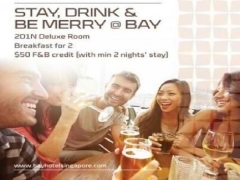 Checkout Bay Hotel Singapore for more details about this offer and to book your accommodation now!